Are you in need of expert auto repair services for your Isuzu vehicle in the Denver Tech Center area? Then choose Antero Automotive & Truck Services as your auto repair shop. We invite you to join the leagues of satisfied customers who have less stress because they’ve chosen to bring their Isuzu vehicles for Antero Automotive & Truck Services to repair. Although Isuzu closed its doors in 2009, we have not closed our doors at Antero Automotive & Truck Services for servicing them. Our well-qualified auto repair specialists still see them in our shop, as well as around on the roads around the Denver Tech Center area, and we’re most happy to work on them. 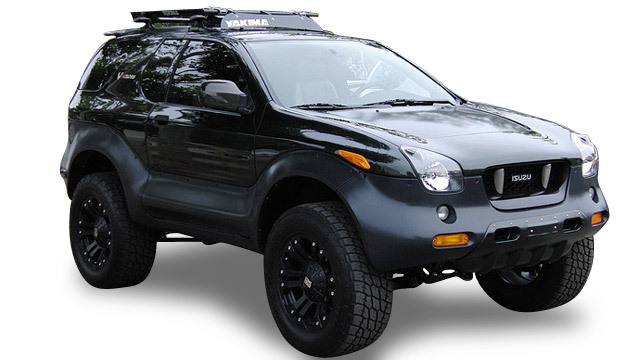 Isuzus are still a fine choice for off-road vehicles, and we see some of those issues here at the shop at times. Many Isuzu owners in the Denver Tech Center area already trust the auto technicians at Antero Automotive & Truck Services. We’d like you to join us if you haven’t yet joined the family. Here are some of the reasons. We have a shuttle service that runs in the morning, an Uber in the afternoon, and we also have five loaner cars. We have a nationwide Napa 3-year/36,000-mile warranty. In addition, we’re AAA approved, we’re an ASE Blue Seal Shop, and Repair Pals certified. Our auto technicians do digital inspections so you have an actual picture of what is happening inside your Isuzu and we’ll prioritize the repairs so you’ll get a customized plan for your Isuzu. We are completely transparent with the pricing and inspections so you won’t get any big surprises! After all, a big bill isn’t the kind of surprise you want. But we will surprise you by washing your Isuzu for you so it looks good when you come to pick it up. "We had an emergency situation with our car, and had it towed to Antero. We had never been to Antero, but the shop was close. I was so pleased with the kindness and service we received, and they repaired our car quickly without an appointment.We are now loyal patrons of Antero and highly recommend them!" -- Kathy S.
If your Isuzu is giving you problems, or you just want us to do some routine maintenance, come in for the service that you deserve. As the #1 choice for Isuzu owners in the Denver Tech Center area, we’re committed to honesty and transparency. Schedule an appointment or stop by. Antero Automotive & Truck Services is located at 6615 S. Dayton Street, Greenwood Village, CO, 80111.